Whether you are recently divorced or have been for some time, don’t be anxious that you have ruined your child’s life. You haven’t. While divorce can be a big part of your child’s life, what will determine his ultimate quality of life is still in the hands of each parent. 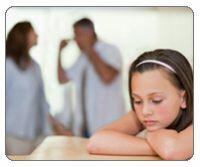 Can children be affected negatively by their parent’s divorce? Most certainly. But it’s important to understand that children are not necessarily doomed to be negatively impacted. Let’s take a closer look at a few common situations that arise and how you can best handle them so your child doesn’t get caught in the crossfires. Understand that it is normal and natural to fall apart right after the divorce. Divorce marks the end of a relationship, and as with any death, there is a grieving process we go through when we call it quits with our spouse—regardless of how amicable the split is. You may feel overwhelmed, sad, angry, and less patient in general. Your child’s behavior will likely be affected as well. She will go through her own grieving process, but added to that are her worries about her parents, how to transition between Mom and Dad’s house, how to deal with the rules at each house, and what the future will hold. Here’s an important rule: You are the only one in charge when your kids are with you. The key is to make rules and enforce those that support your principles. But here’s the truth: you are entitled to fall apart. You do not have to hide all your sad and difficult feelings from your child. This is different from over-sharing with your child or telling her too much about your personal life or your relationship with your ex. Doing this is a mistake because it forces your child into an adult position, making her your confidant. It can also create a bias against the other parent. Rather, just let your child know you are having a hard time and that you will get better. Many, many parents skip giving consequences after a divorce because they feel guilty about what they have done to their child’s life. The danger is that this can become a habit, and your child may then develop some pretty ugly behaviors as a result. Many kids act out as a reaction to the stress, anxiety and sadness they feel over the split of their parents. But remember, the best thing you can do for your child right now is be consistent. Yes, be empathetic to your kids—they are going through a rough time, too—but hold the line when they cross the line. If your teen keeps breaking curfew, give her the same consequence you would have given before. If your 10-year-old son calls you names and screams in your face, again, follow through with some appropriate discipline. Be sure to talk with your child after everyone has calmed down and find out what’s going on with them. Be open to talk about the divorce and their feelings around it if the subject comes up and try to really listen to what your child has to say. Kids react to divorce in different ways. Your son might attempt to take care of you so as not to make any trouble. He might try to take on the missing parent’s role and act like an adult instead of a child. Your daughter might become an overachiever—or an underachiever. Children often over-function for their parents after a divorce because there’s a vacuum that’s been left. They move right into it because they feel like they have to take up that “missing” role. What will help your child the most is if you can assure him that the best thing he can do right now is just be a kid and live his own life. As a parent, you can remind your kids by your actions and your words that they do not need to take care of you. Although you are going through a rough period, let them know that you are still able to take care of yourself and your family. They are testing boundaries and trying to push you to be strong. Some kids act out right after a divorce in an attempt to push you to be strong. If your child is acting out, it can be helpful to understand that his behavior might be coming from his anxiety about the divorce. It makes kids nervous when their parents seem to have lost strength. If your kid is pushing you in all different ways, it could be that he’s hoping that he sees a parent that doesn’t break. If that’s going on in your home, again, you can empathize and understand where these behaviors might be coming from, but you don’t have to put up with it. Let your child know that it will be most helpful that he be more cooperative and not give you a hard time. Then set limits with him, give consequences and follow through. One of the reasons that you got divorced might have been because you had a hard time agreeing on most things. Being divorced is not going to make that any easier. The good news is that when you are with your kids, your ex cannot tell you what to do. And of course, you can’t tell him or her what to do, either—or how to parent. Here’s an important rule: You are the only one in charge when your kids are with you. The key is to make rules and enforce those that support your principles. Expect your child to follow your rules in your home and don’t worry about what is going on in the other home. Of course it is beneficial to work together and to call and collaborate when it comes to parenting your child, if possible. You can suggest things, let your ex know your concerns, stay open and listen to his or her concerns, and then decide for yourself what you will or won’t do. 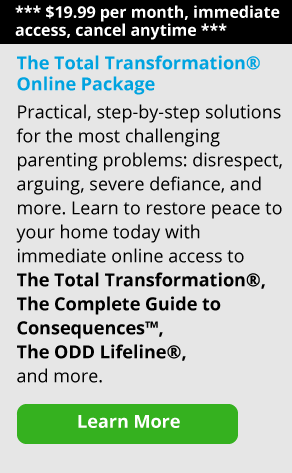 You can try to discuss your parenting ideas, but if your ex is not on board, get out of his or her box and stay focused on your parenting values in your home. The answer to your ex if she complains about your parenting is to say, “I’m good with how I’m doing things.” Or “I’m comfortable with how I’m doing things.” If she continues to complain, again repeat, “I am good with how I am doing things.” Do not engage in any more conversations about this topic. Along the same lines, don’t go crazy about how she is parenting. What matters is how you are parenting when your kids are with you. That influence will make a big difference as to how your child does in life. Children can get caught in the middle when parents put them in the middle. Kids don’t want to take sides—they want to be free of worrying about the other parent when they are with you. Don’t talk to them about your ex in a way that will force them to take sides. Let’s say your son says, “Dad says you don’t help me enough with schoolwork.” As long as you believe you’re doing your best with that, instead of saying “That’s not true!” or unleashing some choice words about your ex-spouse, try to respond non-defensively. You can say, “I think we’re doing a good job together. I’m sorry your father feels that way.” By doing that you have successfully ended the battle and gotten your child out of the middle. It also sends the message to your child that the other parent can do or say whatever he wants, but it doesn’t matter when your child is with you. You are not getting engaged in the battle. The rule of thumb as a parent is to never say anything to your child negatively about the other parent if at all possible. You may have to bite your tongue, but it is so important that you try to refrain from criticizing your ex. By doing this, you’ll be helping your child have healthy relationships with both parents, and that’s probably what we all want in the long run. Here’s what you can do to prevent their manipulation from becoming effective: Check with the other parent directly. If the other parent has changed the rule or the plans, you can either agree with this change or disagree and negotiate with each other as adults. Don’t get into the habit of relaying messages through your child. If you have a message or question, call the other parent directly. If your child lies about what the other parent said and then tries to hide it, confront him with it. You can say, “I talked to your mom and she did not say that. I don’t want you lying to me.” When you do this, you are basically letting your child know that you are dealing directly at all times with your ex, and that he can’t get away with playing you off the other parent. You can also set some consequences if and when necessary. To keep your mind at ease and help you stay calm, recognize that how your child will turn out has the most to do with the relationship that she develops and maintains with each parent. Divorce is not the only factor that will impact her life. How maturely you behave with your ex will keep your child out of emotional harm’s way. Having a solid relationship with your child is in your hands.